The structure of the throat is a perfect example of the system in the human body. Throat wall is supported by the C-shaped cartilage rings. It allows movement in different directions. If the windpipe is only made ​​of flesh, then the resulting softness will cause constant clogging, which would make it difficult to breathe. If made ​​of something hard like a bone, then our movement will largely be limited. But the structure is composed of cartilage that make up the windpipe is suitable for all types of movement, and always remain open because of its flexibility. There is another very special system right at the entrance to the windpipe. This system saves our lives every time we eat something. How? 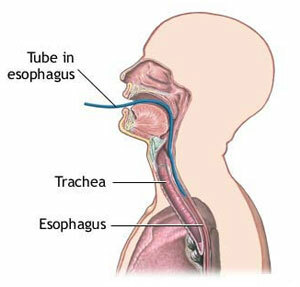 The esophagus and trachea in the throat side. One possibility that when eating the food will get stuck in the throat and strangled himself. But not so. Although we continue to eat and breathe, the food was never caught in our throat. So what protects us when to eat? There is a small fold of elastic cartilage called the epiglottis right at the entrance to the windpipe. This flap automatically closes the entrance to the throat when swallowing. For thousands of the foods we eat, from infancy to the present, we have claimed tens of thousands of times. And every time a small flap to close the entrance to the throat at the right time. Although we are not aware of its existence and unable to control it, a small flap has saved our lives by closing the entrance to your throat at the right time. In the absence of that system, a human would choke the first time he bites of food. This is another proof that God created all of the features possessed by humans.